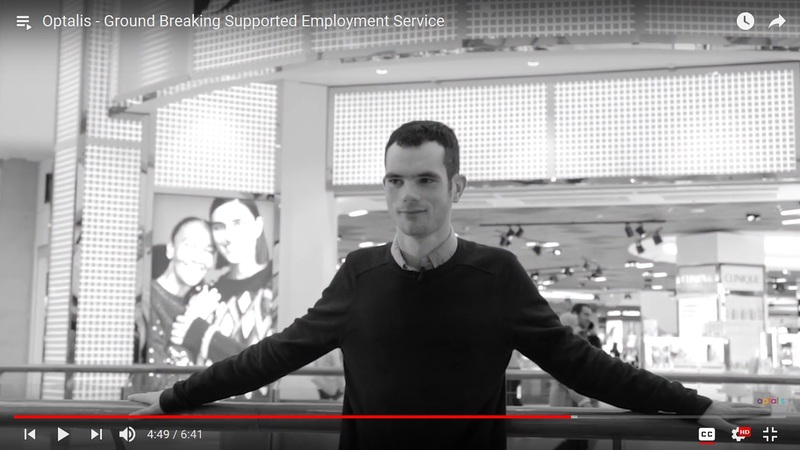 The Supported Employment Service now has a youtube channel to promote their fabulous work. 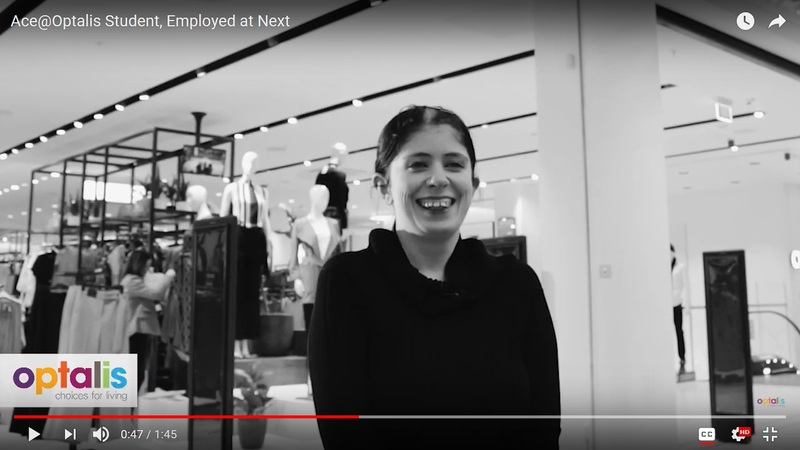 CEO Martin Farrow introduces a suite of videos featuring customers talking about how the Ace@Optalis course has benefited them by supporting them to find employment. 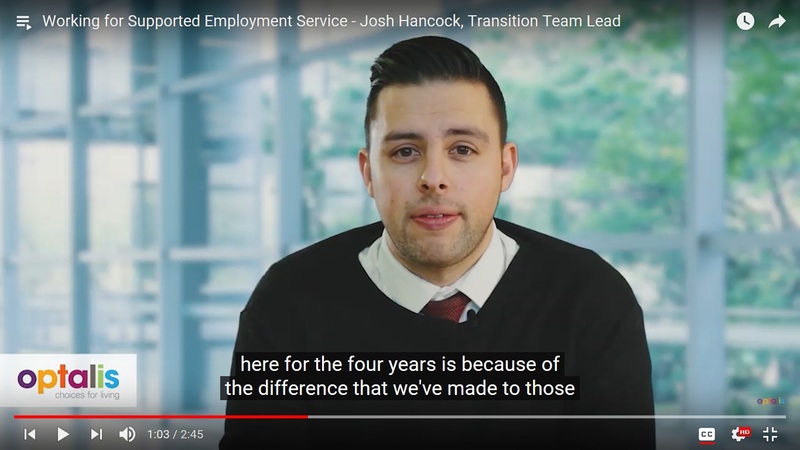 There is also a video of Josh Hancock, a member of the Supported Employment Service team talking about his role. 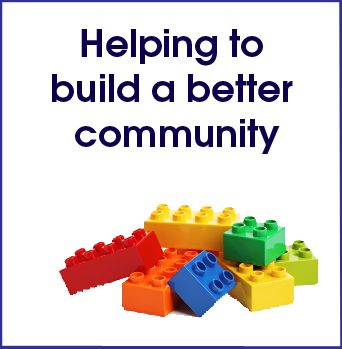 The Optalis Supported Employment Service provides support and enables people to obtain or maintain employment through a Supported Employment Pathway or Individual Placement and Support (IPS). The specialist team provides tailored support to people with a physical or learning disability, mental health issues, a long-term health condition, an acquired brain injury, sensory impairment, substance misuse issues and carers. 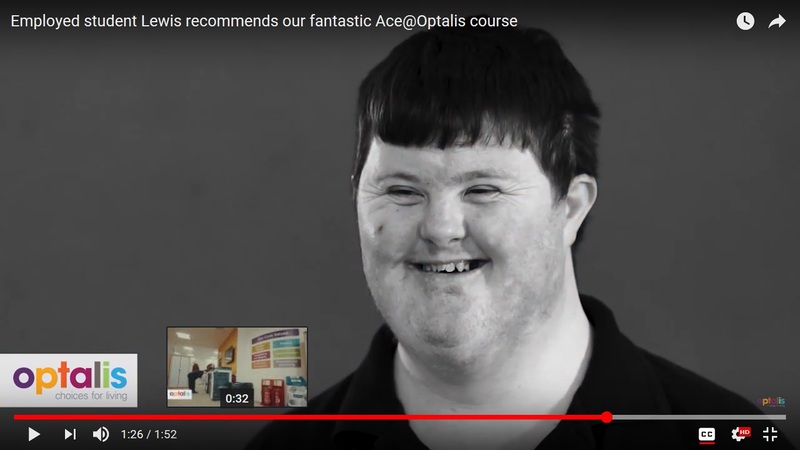 You can view the videos here or click below to see some our customers talking about the Ace@Optalis course. "I’m extremely proud of this year’s Ace@Optalis students; throughout this year we have seen our students' confidence increase, their belief in their abilities grow and their transition from college into work has truly been inspirational. 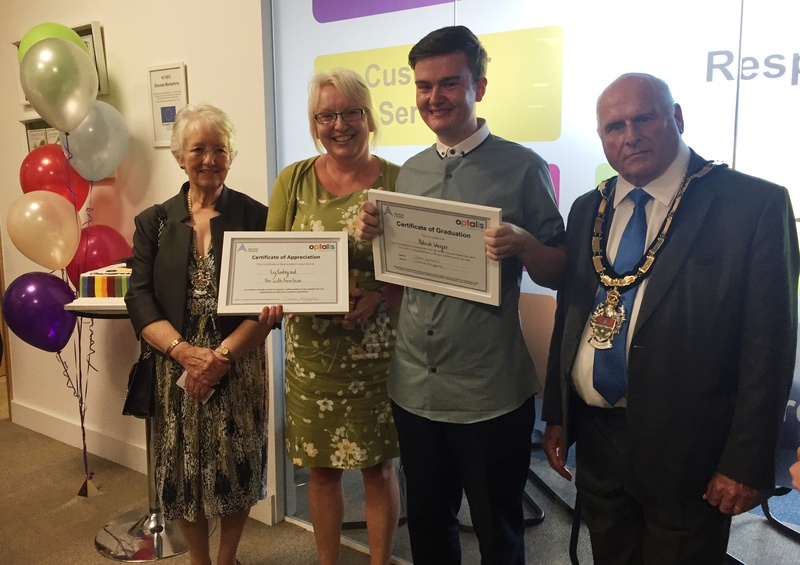 "Our students received their certificate from Wokingham Borough Mayor, Cllr Rob Stanton; this year we had speeches from Michelle Parks, Life Skills Director of Reading College and Mr. Roger Prew; once of our students fathers ( Jess Prew) talking about the course from a family perspective. 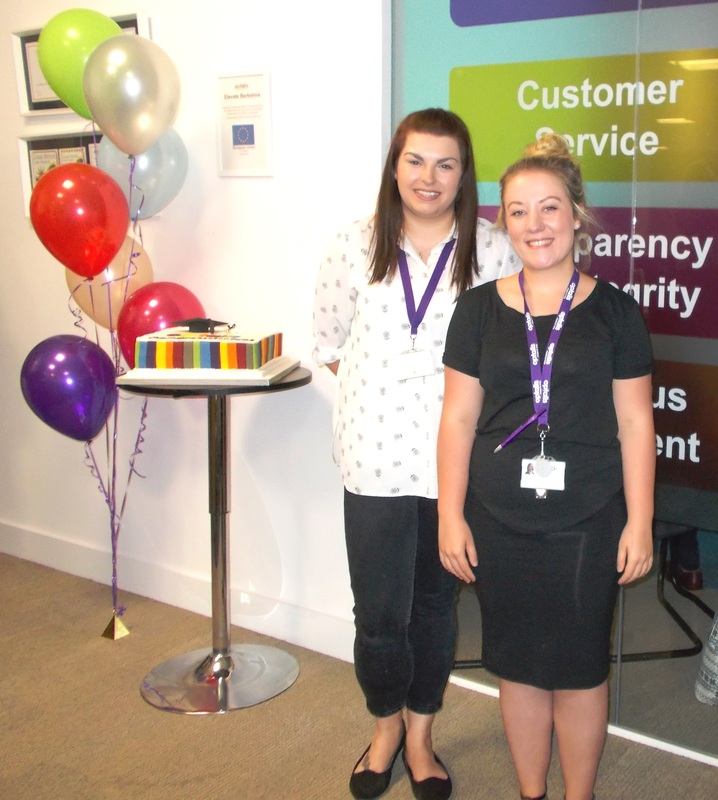 "Supported Employment Service continues to provide a first class service and each and everyone one on the team works tirelessly to enable each student to reach their employment goals and aspirations!" Ace@Optalis is top of the class! Reading College students are celebrating their graduation from a job-focused course run by the Wokingham-based Optalis Supported Employment Service. The course Ace@Optalis provides specialist training, coaching and support to enable students to make the transition from college into a work environment. The course involves students attending Trinity Court at Optalis and participating in group training sessions, weekly 1-1 meetings with a job coach, goal setting, vocational profiling, managing stress, interview practice, travel training, work experience and paid work in partnership with local businesses and organisations such as the Forest School Wokingham, Sainsbury’s in Newbury, Poundland in Reading, MITIE Basingstoke, Rivermead leisure centre, Berkshire Rooms in Wokingham. 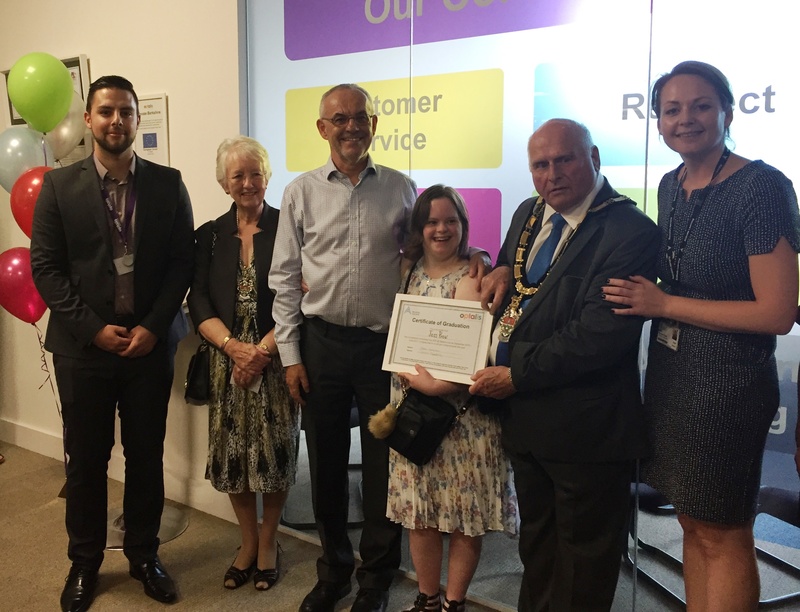 The students were presented with graduation certificates by Wokingham Council’s Mayor, Cllr Bob Pitts at the Optalis office at Trinity Court on 13 June. The award ceremony was packed with students, parents, employers and colleagues who enjoyed a specially-baked cake and tea following the certificate presentations. Ace@Optalis is a groundbreaking supported employment course designed and delivered by Optalis to provide a smooth transition from college into employment for students who have been studying work-related courses at Reading College. The course involves students attending the Optalis head office and participating in group training sessions, weekly 1-1 meetings with a job coach, goal setting, body language, managing stress, interview practice, travel training, work experience and paid work in partnership with local businesses and organisations such as the Forest School, Become Digital, Sue Ryder, The Computer Doctor and Wokingham Library. Following their successful completion of work experience the students receive offers of paid work in roles such as trainee website administrator and coffee shop assistant. The Forest School in Wokingham also provided employment for graduates from the course, firstly to manage traffic for the new 6th form block and latterly to work in the new coffee shop. “We are working with Bill Crawford and Sylvie de Groote at the school and it’s a partnership that continues to produce great benefits for all participants,” says Donna Morgans, SES Service Manager.